Can You Get Pulled Over For Expired Tags? Yes, you can most definitely get pulled over for expired tags (also called expired registration). It’s never fun to get pulled over, but we’ll try to lay out the consequences of getting caught with expired tags so you can plan ahead and avoid a potentially costly and uncomfortable situation. What Happens When You Get Caught With Expired Tags? 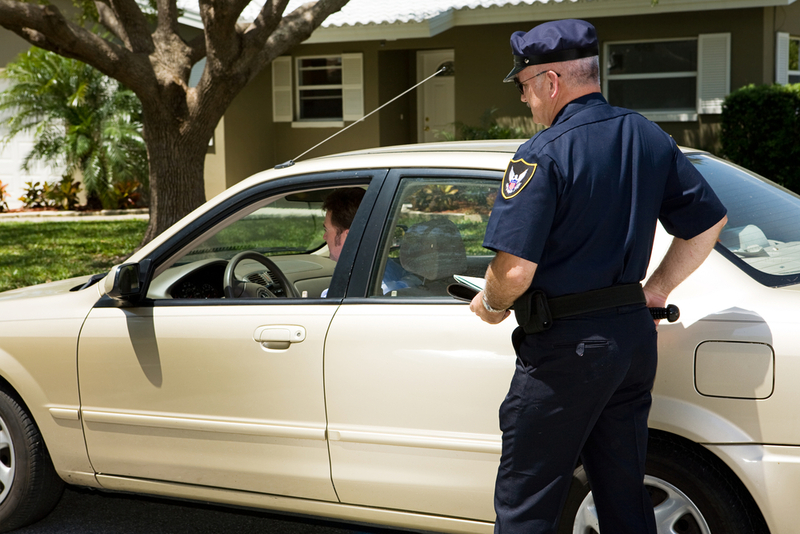 If you get pulled over for having expired tags, there are several potential punishments you could face depending on the state you live in, the severity of the offense, and how kind the officer is feeling at the time. We will outline some of the possible consequences. *Issue a citation for the violation. You will then be required to renew your registration typically within no longer than thirty days. *Let you know of the violation, but let you off with a warning and not write a citation. *Write a citation and also impound or tow the vehicle (if the registration is expired more than six months). You may not regain possession of the vehicle until you renew the registration and pay any associated fines. *Give you a citation, but not impound your vehicle even though your registration is expired more than six months. *If you are found to also be driving without a license or with invalid insurance, penalties could become more severe. *Since having expired tags is a non-moving violation, it is possible to receive a citation even when you are parked and your car is unattended, as long as you are not on private property. *If you get pulled over twice with registration that is expired by more than six months, you could face stiff penalties as severe as going to jail. More commonly, however, you will be issued a criminal traffic citation and a notice to appear in court. The best way to avoid getting nailed for having expired tags or registration is simply to make sure your registration is up to date. If you do happen to get pulled over, the best course of action is to be honest and compliant. If you try to lie, chances are good that the officer will err on the side of a stiffer penalty. Part of driving defensively is making sure your vehicle is fit to be out on the road. If you need a refresher course on how to stay prepared and safe out there, consider a taking a course from a defensive driving school online. Overall, just renew your registration on time and you’ll never have to worry about getting a citation!